Boston’s robust permitting process and limited space can make building new homes and condo developments challenging. What does get built can vary greatly in terms of style and quality. We are delighted to work with several excellent local builders who maintain the highest standards for product quality and energy efficiency. Recently we have partnered with LoPilato Construction on several local projects. 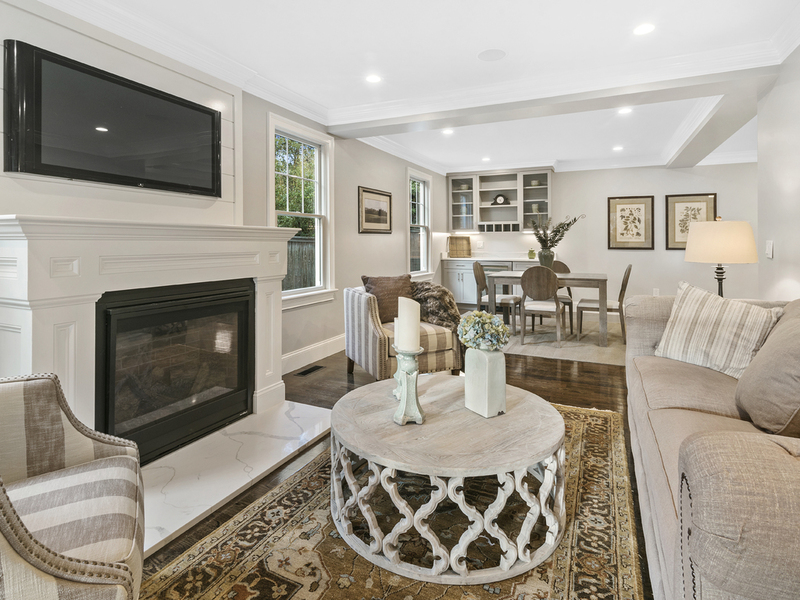 LoPilato has been building new homes and renovating classic properties in the Boston area for over 15 years. Smaller spaces and higher costs are common in urban construction projects so maximizing the living area and using high-quality beautiful finishes is essential. We know you can trust LoPilato to provide great value and a process that’s efficient and stress-free. Over the years, we have sold several homes that were built with their high-quality workmanship, professionalism and pro-active customer service. Here are a few of the Jamaica Plain projects we’ve worked on recently. This new construction 3-unit complex features smartly designed 3-bedroom, 2 bath condos with beautiful finishes. Each unit has a large chef’s kitchen with Wolf cabinetry, high-end Bosch and Samsung appliances, Caserstone counters and a breakfast bar with ample seating. The thoughtful design includes stylish West Elm lighting, Nest thermostats, Grohe bath fixtures and designer tiles. We fell in love with the fabulous city views from the common roof deck at this 3-unit development on a beautiful JP street. The open kitchen, with granite counters, stainless appliances and a spacious breakfast bar, is perfect for entertaining family and friends. Hardwood floors, a gas fireplace and central air conditioning make these condos picture-perfect homes. This spectacular new construction 4-bedroom single family home has a fabulous layout that flows seamlessly to the deck and fenced yard. 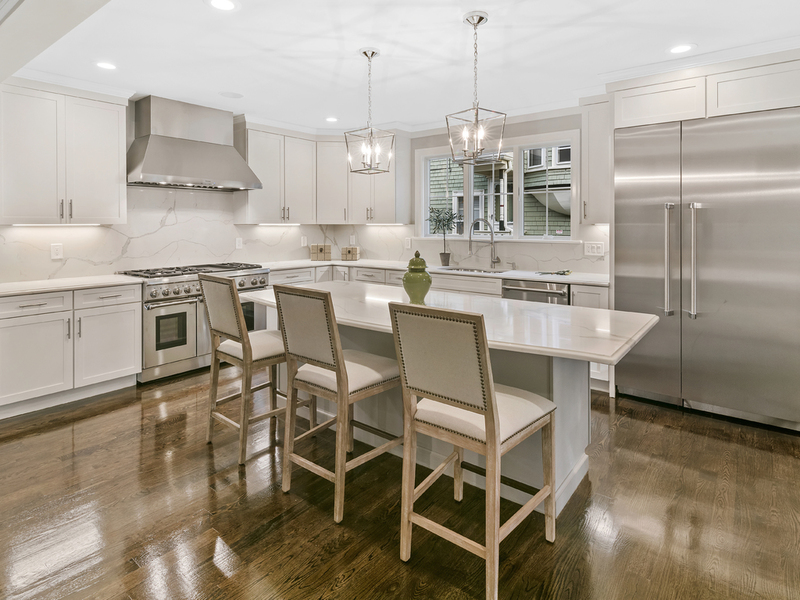 The deluxe chef’s Kitchen has a center island, and stainless Thermador appliances. A large family room with fireplace leads to a private deck. An incredible master suite has a huge walk-in closet, and a master bath with double vanity, glass enclosed shower, and Jacuzzi tub. It was a pleasure to market a property where no detail was overlooked. This stunning Colonial Revival with direct access garage parking was completely renovated while retaining many original details. Historic character blends easily with modern finishes and amenities throughout this amazing home. The flexible open floor plan is wonderful for entertaining and offers an over-sized chef’s kitchen complete with high end Thermador appliances and a spacious island to gather around. A magnificent custom bar adorns the gas fireplaced living room and the mudroom, with stylish shiplap wall, makes for easy living through New England winters. 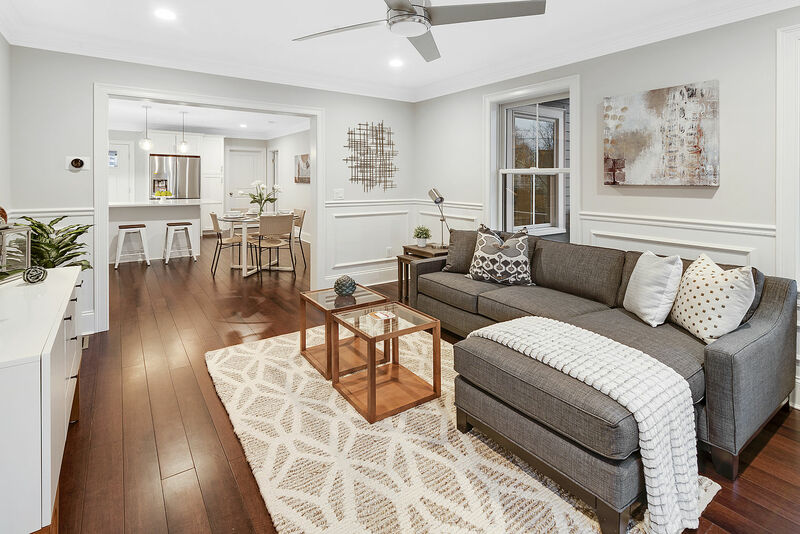 The stunning brand-new 3-bedroom condos, located in one of JP’s most sough-after neighborhoods, are just a short stroll from Forest Hills T station. Units feature open floor plans, chef’s kitchens, spacious private decks and garage parking. The fabulous open living area is perfect for a busy urban lifestyle. Stylish finishes include Grohe bath fixtures, designer bath tile, dark-stained hardwood floors, beautiful crown molding and wainscoting. Each unit includes incredible private basement storage with full size walk out door so bring your bikes! We are so honored to work with LoPilato to bring these homes to market in Jamaica Plain. If you have questions about buying a new construction condo or a recently renovated home, don’t hesitate to reach out to us. We will be happy to help you find your dream home.